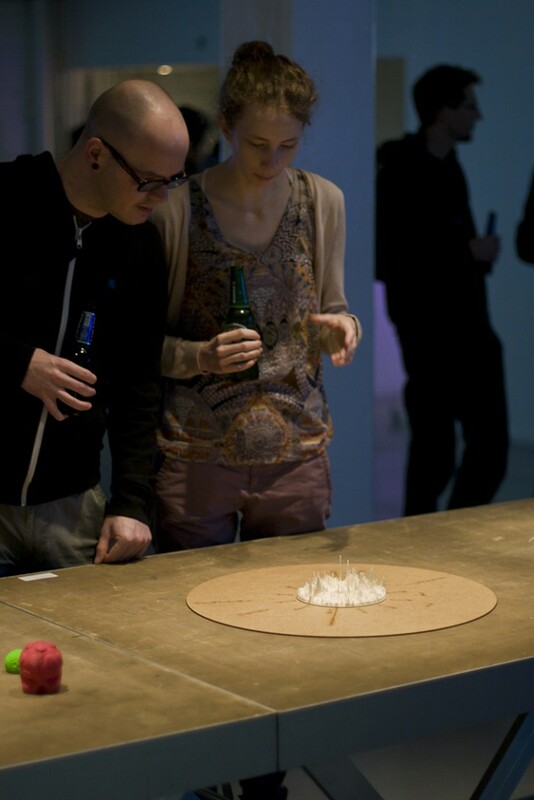 Generative datasculpture visualizing Google Analytics data about visit of iMal.org webpage. The data represents one year cycle with events being visualised as a peaks or falls. Significant events are visible, some of them caused by activity towards public, such as job offers, festival, some caused by external factors, such as holidays, season and weather changes. We could even see weeks, day activity and its significant drop during the night. Even though the object is formed by the data of a technical nature, it still looks very organic as it reflects biorhythms of a community following the activities of the selected cultural organisation. From the top the object resembles iris of a human eye. The name of the artwork is also an metaphor of how we are observed by a complex computational systems. We all know we are under watch, but we do not understand the implications. Even innocent tools like Google Analytics could be used to invade one’s privacy with harmful consequences. Goal was to create an artwork that is generated by an algorithm hence raising awareness of expanding creative abilities of information systems, however soon after I realized there is also practical use to the project. 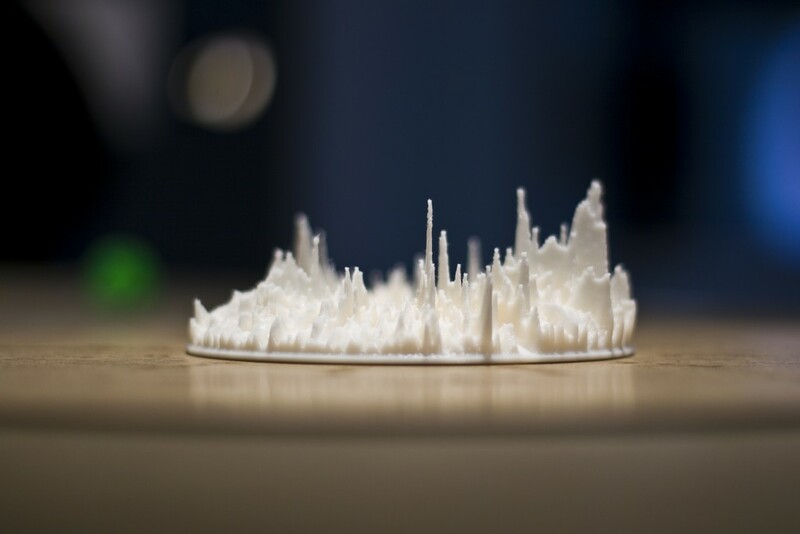 While Google Analytics provides flexible tools for data visualisation, 3D printing the statistics data adds one more dimension and allows for better insight and understanding of the dataset, hidden patterns become obvious. 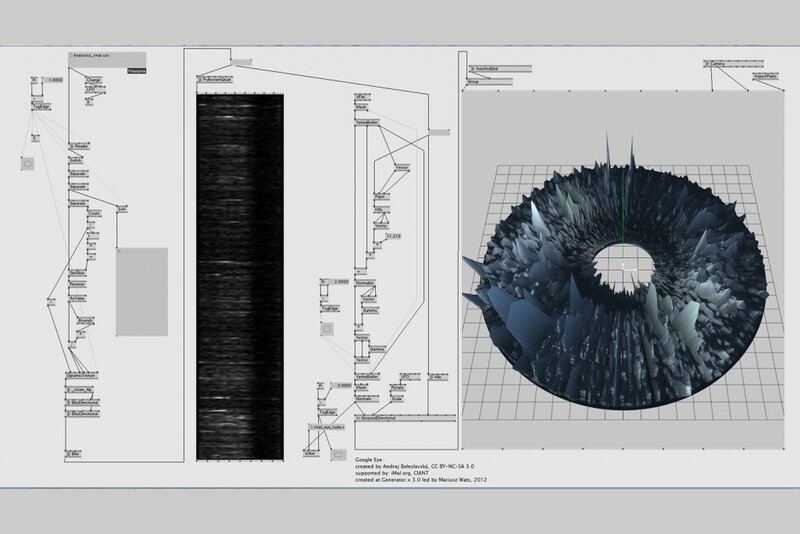 Making the dataset tangible could also make it accessible to people who are vision impaired. I wanted to make software tool which could create form that would be difficult or impossible to create by traditional manufacturing procedures. I imagine in future it would be possible to have this sculpture exhibited in always-up-to-date form. During the night it would melt and get printed again using recent data. This could be a great installation for entrance hall of an organisation or a company. 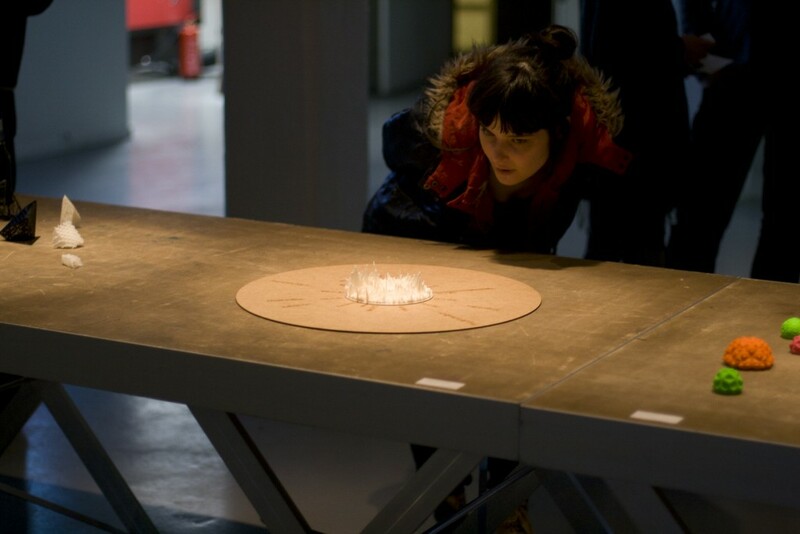 The resulting model could also be considered as a collaborative sculpture. Every visitor of the webpage contributed to the resulting shape of the object by adding tiny piece of matter to a precise location. 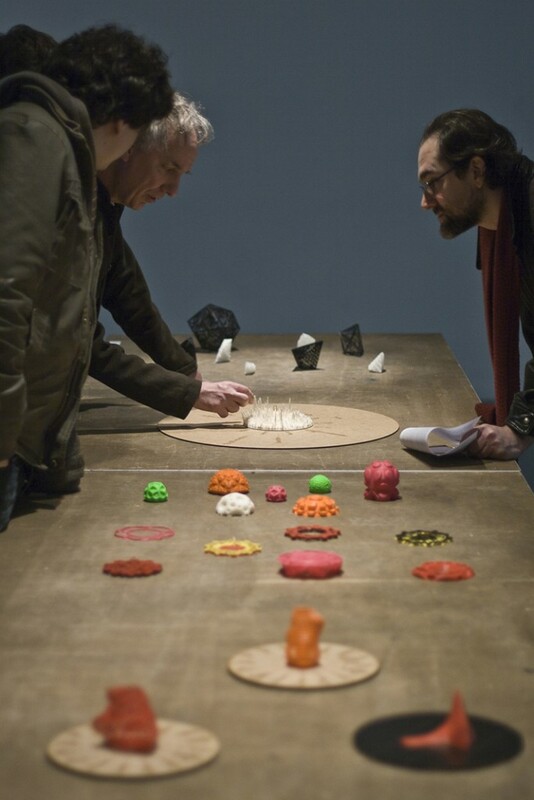 Andrej is an independent artist purposing technology in the fields of new media art, interactive design, physical computing and 3D printing. His work also maintains a strong fascination with the entanglement of nature and technology. He has developed many interactive installations and lectured on open source software, programming platforms VVVV and Arduino. In addition to his work he is actively involved in technological solutions for other Czech and foreign artists, for instance in installation for Expo Milano 2015.